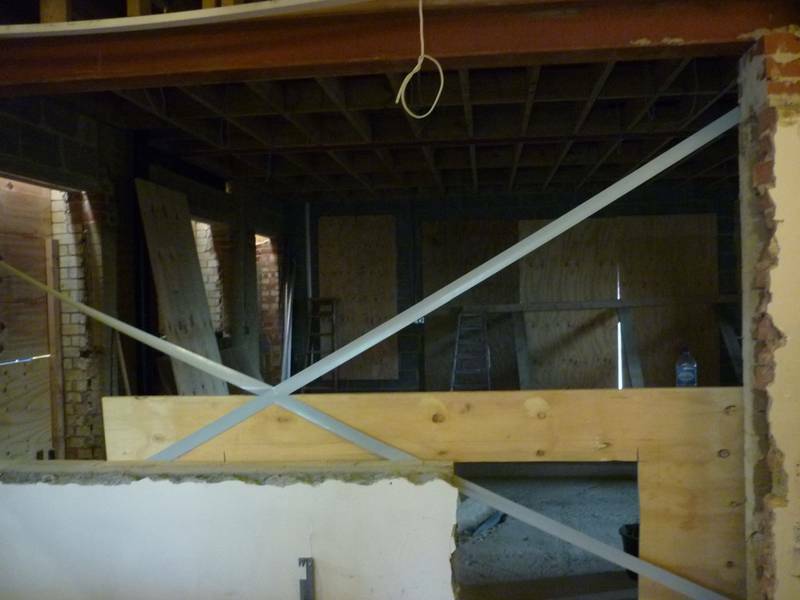 These are pictures of work being carried out to enlarge and reconfigure Hayes Town Chapel. The church will have a new welcome area, being built between the main church building and the church hall and the congregation will be seated longways. A pulipt extension is being built to maximise seating capacity. Thanks to Lady Di for these photos.